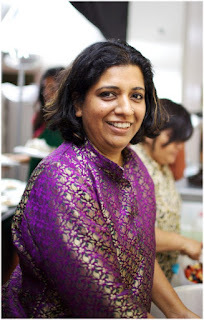 I met Asma from Darjeeling Express a few months ago at one of Edible Experiences' events, and after that she got in touch to ask me to feature a very special event she's hosting - a Saturday special lunch at The Cinnamon Club. See below for full description and mouth-watering menu! "One afternoon. One cook. One city of many cuisines and many stories. Many memories that remain with you for life. From Persian nobility to the British military, the food heritage of Calcutta is a confluence of myriad food cultures and flavours. Embark on an incredible edible journey with Darjeeling Express in the private dining room at The Cinnamon Club, discovering the city’s authentic cuisine transplanted to this stunning London venue. The setting provides an atmospheric background in which to savour dishes proudly rooted in centuries of traceable heritage. Calcutta’s food is as unique and vibrant as the city herself – a metropolis born from trading villages around the bustling port along the Hooghly River. Each and every traveller and trader community left their legacy in the form of a distinct culinary footprint. narrates the legendary stories contained within the Mahabharata. through my food, and hope you will join me to learn her tale. sommelier and drinks can be purchased from that list. about the teas as they are served in between the meal. SAFFRON SPICE COMPANY, a family based company in county Cork in Ireland. Their aged basmati rice is cultivated at the foothills of the Himalayas."